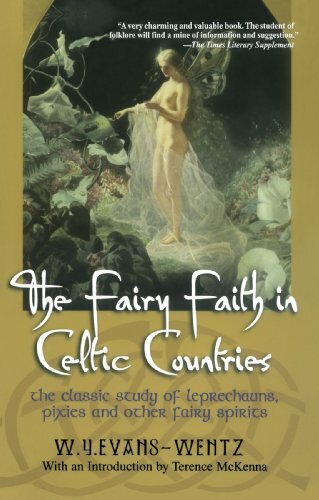 This book is a good source of fairy culture from Ireland, Britain, Scotland, Whales, Cornwall and the like. There are case studies as well as just general beliefs and stories. The author of this book is an anthropologist who went around the British Isles collecting fairy lore. He uses stories from the people he meets and later gets into different aspects of the fairy faith. This is a wonderful resource and a must read for all seriously obsessed with fairies. I came across this film two years ago and purchased it on a whim as it was a documentary on faeries, two things I love. Well, more accurately, the film isn’t about faeries themselves, but about the belief in faeries and the superstitions people hold and sacred places, etc. The narrator takes the viewer around various places in Canada and the U.K., talking to people who believe and looking at locations of relevance. The film doesn’t try to convince the audience of anything nor disprove anything. It attempts to achieve an unbiased perspective, taking in the opinions of those who believe and those who don’t (mostly the believers though as we’re looking at the belief, not a criticism of the belief). I think it successfully documents the fairy faith and does a good job of taking seriously subject matter which the majority of western society sees as nothing more than fantasy and idle past time. I would recommend this to everyone interested in fairies, and anyone with an open mind, because though it isn’t asking for the viewer’s belief it is asking for the viewer’s acceptance of the belief. A classic faerie movie made in 1959. 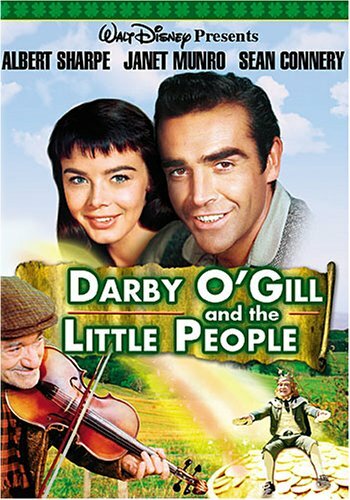 Darby O’Gill and the Little people is about an old man named Darby O’Gill and his attempts to outwit the leprechaun king into giving him three wishes. A young Sean Connery plays the part of a travelling man who comes to work in Darby ‘s place, as his landlord feels that Darby’s getting too old to work. Connery starts falling for Darby’s daughter Katie and their love carries on as a sort of side story. the high point of the film is when the banshee comes by one night for-telling Katie’s death, and so Darby finds the leprechaun king to use his wish. an amazing, timeless film that captures the magic of leprechauns and the dynamic of a close knit town, as well as emphasize the power of story telling. a must watch. Ever dream of having a faerie to come visit your backyard? well, faerie houses are the way to go. a faerie house is essentially a little house you can make, either out of natural materials like twigs or tree stumps or from old milk cartons or bird houses. after you get your house, you can decorate it with different thing you find outside, like twigs, leaves, walnut halves, etc. and put a little something special inside to entice faeries to come visit, like sugar or dried cranberries or the like. there’s also a series of children’s books by Tracy Kane about fairy houses, great to get the kids involved.. or more involved than they already are. this site is another good faq for beginners http://www.fairywoodland.com/page.php?Fairy___Fairy_House_FAQs&page=4 I’m not crazy about the majority of the examples of houses they have on the website, but the furniture and other accessories are cute. this website is a great resource for looking up fairy tales. on the side bar there are listed different faerie tales and if you click on one it will give you a brief version of the story as well as (and this is the great part) books that have adapted the story. so children’s books are obvious here but there will also be daughter of the forest by juliette marillier under six swans or east by edith pattou under east of the sun west of the moon or ella enchanted under cinderella. great for all fairy tale obsessed.